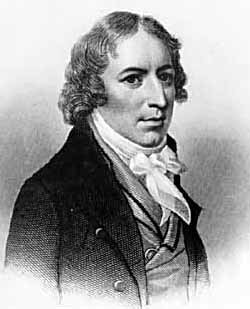 Today in Masonic History Harman Blennerhassett passes away in 1831. Harman Blennerhassett was an English born lawyer and politician of Irish descent. Blennerhassett was born in Hampshire, England on October 8th, 1756. At the age of two he returned with his family to County Kerry, Ireland where they owned a 7,000 acre estate. He attended Westminster school in London and later graduated from Trinity College in Dublin with a Bachelor of Laws. After passing the bar, he began practicing law in Dublin. In 1790, Blennerhassett moved to Paris briefly. In 1792 he inherited the family estate in Ireland. The following year he joined the secret Society of United Irishmen. Initially the group was dedicated to government reform. Before long the group turned militantly radical. In 1794, Blennerhassett married Margaret Agnew who was his niece. Shortly after, in 1796, he moved with his wife to the United States. It is believed that in part he moved to hide his incestuous marriage and in part to escape the United Irishmen because of their turn toward militant methods. The Blennerhassett’s bought the upper part of an island in the Ohio River. They built themselves a large estate, that for a brief time, was considered the most beautiful private residence in the United States. There were many visitors to the Blennerhassett estate, not the least of which was Vice President Aaron Burr. His repeated stays at the estate led to the estate being the headquarters for an expedition in 1806 and 1807 to the American Southwest. The expedition led to Burr facing charges of treason. Blennerhassett himself was arrested numerous times. On the last occasion of his arrest he remained jailed until Burr was cleared off all charges. Blennerhassett never returned to his estate. He first moved to Port Gibson, Mississippi where what remained of his once vast fortune was lost. From 1819 to 1822 he practiced law in Montreal, Quebec, Canada before returning to England where he lived with his family in Bath, England. Later he moved to the Channel Islands. Blennerhassett passed away on February 2nd. 1831. It is unclear where Blennerhassett took his degrees. Records show that he visited American Union Lodge No. 1 in Marietta, Ohio in 1797. The following year he was elected Secretary of the Lodge and it is presumed that he affiliated with the lodge.